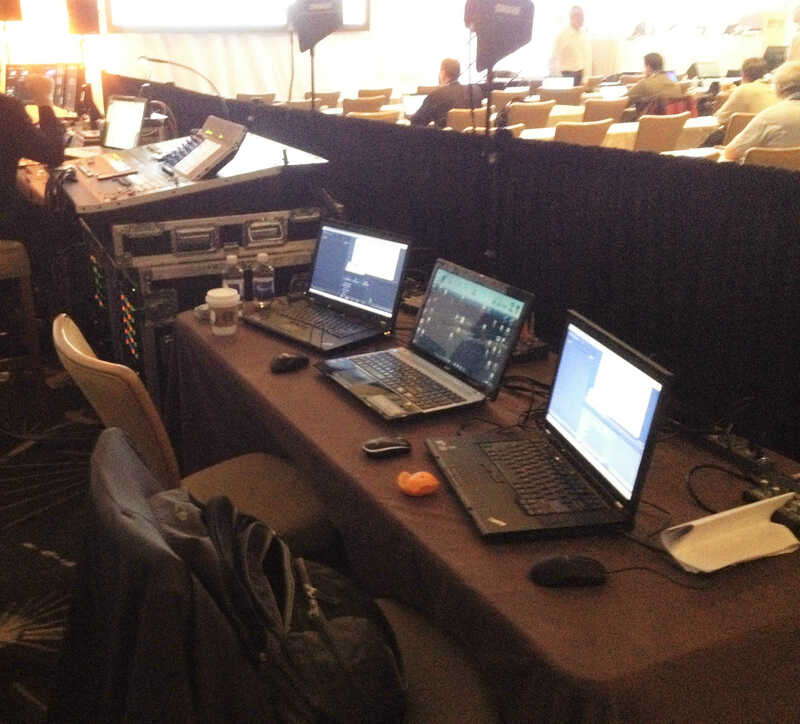 If you are in the audio visual business and deal with live events, having a diverse tech kit can help you in a pinch. 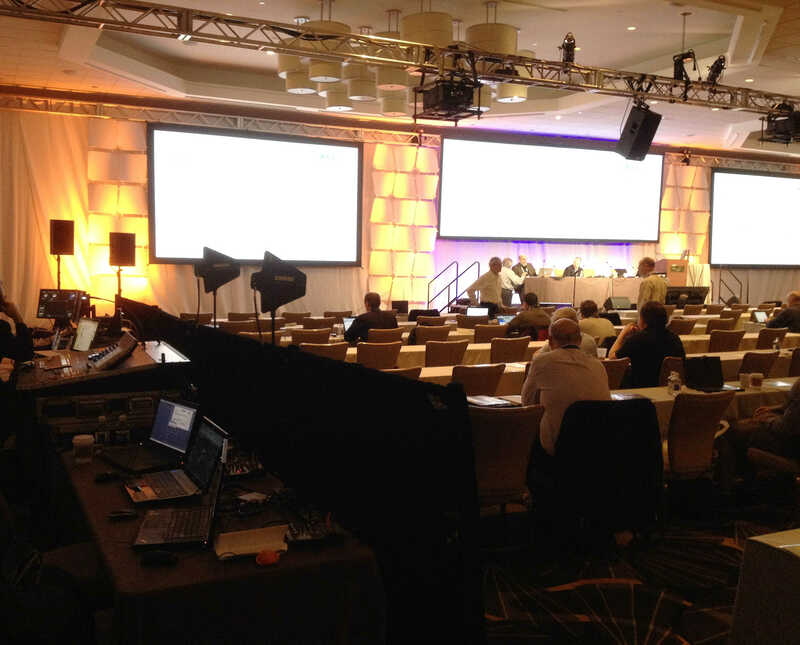 I have been in the AV and live events business for over 20 years. Knowledge and experience can get you out of many technical problems, but having a good audio visual tech kit can be a life saver. I am often on a job site like a hotel or office space and having a basic tech kit to help you out of a technical situation is a great comfort. Your tech kit can consist of several different items that cover all aspects of the audio visual spectrum. A good tech kit should consist of adapters, cables, headphones, multi tools and testing equipment. Let’s take a look at how to build to good tech kit. A basic audio visual tech kit should have a little of everything involved in your technical field. You should consider what are the go to items that you use the most. Many times it is as simple as an audio or video adapter that will help you convert a signal. Having a selection of video and audio cables can also help. A good pair of head phones is also must. A good pair of headphones is a must in trouble shooting any audio issues like buzzing or to monitor recordings. The Sony MDR7506 is a high quality headphone. I have had mine for many years. They can take a beating and still work and sound great. Professional headphones are essential for chasing down audio issues. Cheap ear buds just don’t do the job. The Leatherman Multi Tool has helped me out in many situations. This tool folds up nicely and is compact. It has a great wrench and knife for wire stripping and cutting tape off cables. It also has an assortment of screwdrivers. This tool is always in my kit and if someone borrows it I always make sure I get it back! Your audio visual tech kit should have many different types of audio adapters to convert your signal. You many show up on a job and need to convert 1/4″ to XLR or pad down a feed or ground lift a buzz in the line. You should consider having multiple sets of audio adapters to convert to different types of styles. Having a buzz in your audio feed can be a real pain and ruin your recordings. Using a hum eliminator can help to clean up the line and in most cases get rid of the buzz. You should have a switchable attenuator in your kit. This will help in padding down a hot audio signal. This will keep your audio levels consistent. A ground lifter is an awesome adapter to remove ground noise due to power interference. Having a set of different types of audio cables can help when you need more cable length to get to a mixer. It also helps when an adapter just won’t work. You may want to include cables like stereo mini to RCA, mini to mini, 1/4″ to XLR, XLR Y cable and a good insert cable for adding effects. Video adapters and cabling is also a must in any audio visual tech kit. There are many different formats to consider. HDMI, DVI, SDI, VGA, RCA and Component are several of the most common signals you will be presented with. Having a well rounded tech kit to handle all these video signal can make or break a meeting. There are several types of video adapters that you should have in your tech kit. You may have to convert your video signal to accommodate your needs. Various video cables in your tech kit are helpful for quick fixes and adding devices to and from a switcher or recording feed. HDMI, DVI, SDI and VGA are cables that should be in your kit. Computer networking has become a integral part of audio visual. Many devices like recording equipment, projectors, switchers, and digital soundboards are all networked together. This allows for control and communication from a laptop, smart phone or tablet. Many devices also allow you to send video through Cat 6 cable. Your tech kit should have some Ethernet trouble shooting equipment to fix cable issue or routing needs. The Tonor Network Lan Cable Tester will allow you to test any RJ45, RJ11, RJ12, CAT5 and CAT6 cable. It will test all strands. It is very helpful to detect a faulty Ethernet cable. Many presenters forget to pack laser pointers. Having one in your tech kit can make you look like a hero. Various types of USB and Ethernet cables can come in handy, like standard USB and micro USB. A good USB jump drive is great for file transfer of audio files or power point presentations. A small light weight flashlight comes in handy for those dark ballrooms. Several types of batteries can be good for different power requirementsike wireless mikes, wireless clickers, and laser pointers. Here are the most use types of batteries in this industry. A wireless clicker is always a request. Many presenters or AV companies forget to bring a clicker to remotely advance their slides. I never go on a gig without one. A voltage meter is a good tool for cable testing and checking electrical connectivity. If you are having buzzing in your audio or video lines sometimes a ground lifter plug can clear this issue. 3-Prong to 2-Prong Adapter Grounding Converter 3 Pin to 2 Pin Power AC Ground Lifter For wall Outlets Plugs, Electrical, Household, Workshops, Industrial, Machinery, And Appliances, 6-Piece. A spare D plug can really help when someone forgets to pack one with gear. Sharpies are a must for labeling soundboards, laptops and switchers for the correct sources. Labeling tape is very useful to mark the stage, labeling gear or floor markings to prevent tripping over cables and equipment. Having a well stocked audio visual tech kit can reduce some anxiety in an already stressful enough business. Many of these items have bailed me out of several technical problems. What items have helped in your technical field? Have I missed anything essential? Please feel free to comment.